On New Years eve me and a friend of mine went to a Hollywood celebrity party as members of the A-team! 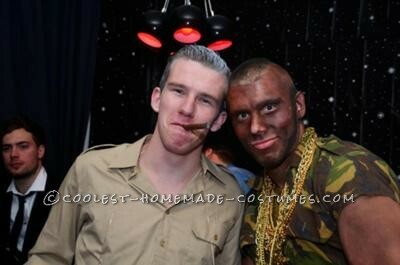 I was Hannibal Smith (with kaki shirt, grey hear and a big cigar) and a friend of mine was B.A. Baracus (with the gold necklaces, dark skin and the hair).